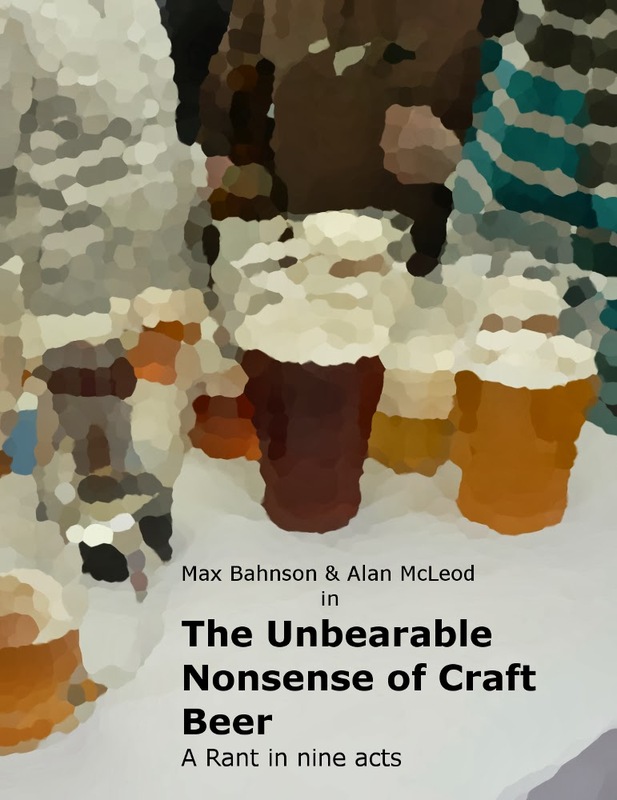 A couple of weeks ago Alan and I got an e-mail from Stan saying that, in a moment of weakness, he'd agreed to write a piece about the phrase "craft beer" asking us if we believed that the phrase, or the concept created an "us vs them" mentaility. First of all, I don't see “craft beer” as a concept, but as a brand, one that's basically in the public domain. As any other brand, it has a series of—more or less fanciful—positive attributes associated to it, which have made it a very successful and valuable brand, with a pretty loyal consumer base—people who, in many cases, don't drink Russian River, Stone or New Belgium, they drink Craft Beer. So far, so good. I've got nothing against that, quite the contrary. If using those two words can help a good brewer sell a few more hl, then it can't be bad. Unfortunately, some people in the industry have used those attributes as some sort of foundation to build an “us vs them” rhetoric that, instead of sticking to “we are good and our products are great”, will point, disproportionately, to “they (the big brewers) are bad and their products are crap”, creating in the process the mythology of a revolution, a movement that expects everyone to believe that a nano-brewery in North Carolina, Sierra Nevada, a brewpub in Wyoming, a neighbourhood bar, a liquor store, and the consumers are all in the same thing together, and that the consumer is in the front-line of “the war against crap beer”. And they've been successful in that, too, not only thanks to the people on the other side of the counter selling that tale, but also thanks to not few writers and bloggers—buying is not quite enough, you must evangelise the masses, spread the gospel of craft beer. That was working fine until the big, industrial, commercial brewers (as if craft brewers were not commercial) decided they also wanted to play the “quality game”, either with their own brands, or buying well established craft brewers. And they've done it really well, so well that some lines have become blurred to the point that the “big beer = bad beer” equation started to crumble, resulting in the “craft vs crafty” nonsense a couple of years back, where the BA was basically telling us that how good, interesting, well made, flavourful a beer may be doesn't matter as much as who makes it. They still urge us to take sides—theirs, of course—but now business has taken precedence over quality. You wouldn't expect less from a trade association, but it's the disingenuous way they've done it what has bothered many people, myself included. And there's another thing. I can't avoid getting the impression that to, some extent, the craft vs crafty stunt was meant to divert the attention of the fact that for that nano-brewery in North Carolina, Sierra Nevada represents a much bigger threat than Blue Moon or Shock Top. I don't know how much longer they'll be able to keep this charade going. There are signs that the edifice is slowly starting to fall apart—Lagunitas's bitching against Sam Adams Rebel IPA (funny coming from a Californian company that opened a factory in the Midwest), the Gypsy vs Brick and Mortar Brewers (another us vs them thing there), among others. But I believe that we—meaning those who don't make a living out of selling beer—are making to much ado about nothing. Most people can't bothered with taking sides, least of all when it comes to something of such little importance to them; and, whether we like it or not, neither do they care too much about who makes their beer. One day they might go to the taproom of their local micro, the next to Wal-Mart to buy Sam Adams, and at the weekend they will happily drink Corona with a lime wedge at a party or Bud Light while watching the game with friends, without seeing any moral conflict in that. And rightly so. We've been painted a black and white picture, but the reality is full of shades of grey. All total sense Max. Beer is often more than what is in the bottle/glass/can. Had some great times drinking PBR from cans in a dive bar in LA and that beer was perfect for that moment! I use to say "Beer is occasion and not an ideology". Some people use craft beer to stratify the consumers in layers divided in "I drink craft beer so I'm better than the rest" and "the rest". Sometimes it ends up spilling out off the glass and hits another social circles and the craft beer consumers got themselves labeled as beer boring ones. Have a good time man. Yeah, those are the ones that don't drink as much as "wear" craft beer as a lifestyle accessory. I suspect this will fade with time, as breweries grow, merge, and get sold off. We'll look back at this quaint moment and smile at our earlier naivete. I agree there. It'll come to a point where that rhetoric will stop working marketing-wise. BrewDog have already been talking of a change in their discourse to a more "adult" one. There is a difference though, between a commercial ležák or lager that "rests" for hours or a few days and is full of adjuncts as opposed to (talking the proper Czech tradition) the 3 phase 40 day resting. Even Pilsner Urquell is now an Europivo with a 7 day resting period and other (understandable of course) production processes that go hand-in-hand with being a successful commercial brewery. All breweries are commercial because their success depends on the market buying enough of their beers to generate profits. Nobody sets up a brewery to make a statement, they do it to make money. And when you want to make money, you're forced to make compromises. I believe that once you get your brewery up and running, you will continue with your policy of distributing your beers to pubs. You'll be compromising on quality control and assurance, then. 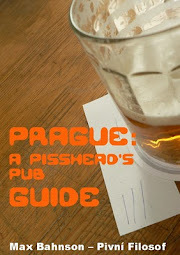 As you must well know pivo varí sládek, ale ho dělá hospodský, and there's no way, other than having someone from the staff at every pub, that you can be certain of the condition your beer will reach me, the consumer, even if you're very selective with your clients. But you will need to do that because chances are that the sales at your taproom alone won't be enough to keep the company in business, but it is a compromise, same as shortening lagering times to increase volume or make up for a lack of capacity, it's only a matter of different policies.